THE Bionic Ride: Some detail. THE Bionic Ride will be an unusual bike ride (ride, not race) happening in your neighborhood for the first time ever on September 18, 2011. It will be as long or as short as you`d like it to be. As tough or as relaxed as you prefer. As big or as small as you want it to be. It will be important and enjoyable. I`m currently ironing out the details, but for now I`ll let you in on some of the secrets. Unlike most bicycle rides that are organized at a certain time in a specific place, THE Bionic Ride will be organized in smaller groups in different locations around the world, at the same time. The plan is to come together in spirit although in different locations. The hope is for the event to raise awareness for and interest in nurturing one`s heart, both literally and symbolically. It`s not meant to be a fund raiser! If you are intrigued and would like to be one to organize a ride in your neck of the woods, contact me (thebioniccyclist@gmail.com). For the time being we have one ride planned in Las Vegas and one in Australia(!). I will contact some of you in the following days, but if you beat me to it, that would be great. I will not turn anyone down. If you have questions, contact me. I will not pressure anyone…promise.. Also, if you have any ideas, no matter how wild, let the brainstorming begin. Keep me in the lupe on your Sept 18 2011 ride. I will definately do something on that date. Sweet! I will contact you shortly. The one-year anniversary, the day, the ride. The one year anniversary of my open heart surgery has come and gone. My goal was simple, the plans were clear. 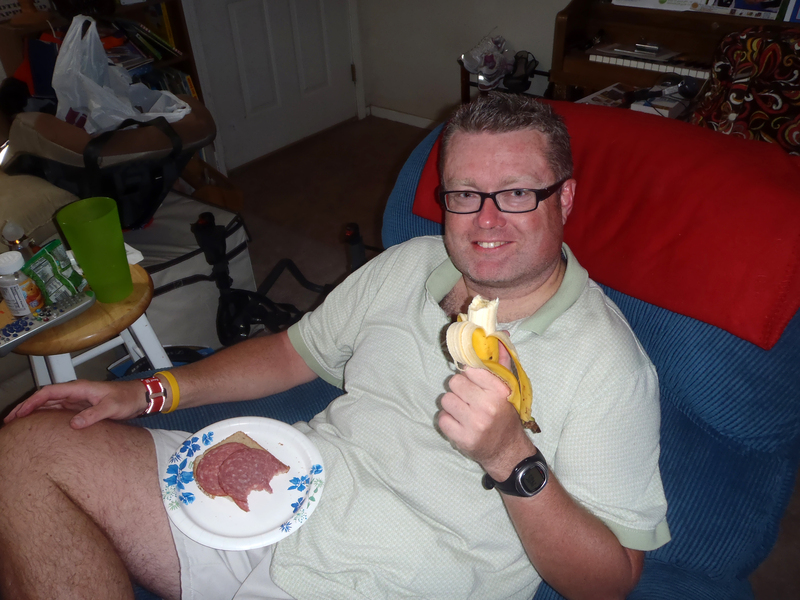 I wanted to complete a 200 mile bicycle ride on or before September 18, 2010. Here is what happened. September 18 this year was in many ways like Christmas, or any other big holiday, in the sense that I felt like I had been planning and preparing for a long time yet, the day itself snuck up on me. The week before the 18th, I was eating carbs and drinking water like it was going out of style. I wanted to have enough energy and liquid stored in my body so that I wouldn`t go dry or hit the wall due to lack of energy. I`ve done both before. Less than a month ago I spent a day and a night in the hospital with dehydration and heat stroke. The bike was ready, I was ready and I had food and drinks prepared. A nice selection of high carb energy bars were spread out on the island in my kitchen. They were accompanied by bananas, gels, sport drinks, bread, raisins, and even some protein drinks that were intended for post ride fuel. The first 12 miles seem relatively flat when you drive them in a car. It is however a false flat for the first 9 miles, then you hit a hill that might surprise you if you`re not prepared. You might remember this hill from one of my very first posts. I didn`t even make it to the top then. It was dark, but some street lights here and there mad it a little easier. Since there is a olt of road work going on in this area, I wanted to ride here only once in the dark. After 12 miles I went down hill for 23 miles or so on the freeway. The freeway has a broad shoulder so I felt safe. After that, there was a mile or less through a small town with some street lights. This is where my wife gave me drinks and some food for the first time. Then, 26 miles on a very lonely and very dark desert highway. Eagles might have gotten some inspiration from this place when they wrote “Hotel California”. ( “On a dark desert highway….”. It`s so lonely out here that I saw less than 5 cars going the 26 miles out and 26 miles back. I saw, or rather heard, more lizards and snakes in the bushes than I saw cars. My wife was anxious about several things regarding my ride. One of them was the freeway, another was this lonely stretch. Did I mention it was lonely? She gave me a can of pepper spray to keep in my pocket in case I was attacked by mountain lions or coyotes. That might sound like a silly thing to do, but both of those animals are seen out here frequently. Especially coyotes. I reached the turnaround point, 40 miles from home, in one piece. Pepper spray can untouched. This stretch is fairly hilly. There are no Mount Ventoux size climbs here, but some hills that make your heart beat go up quite a bit and that make your legs tell you that they are still there. On purpose, I went very slow. I didn`t want to burn myself out and I didn`t want to crash. Back again to where the 26 mile stretch started, I met my wife for the third time. I had to wake her this time. Poor girl didn`t get much uninterrupted sleep that night. She did a great job helping me and supporting me that night as she did during my many many hours of cycling before THE ride. I had done 66 miles at this point, 6 more than my longest ride since I bought the bike. I felt great. A little cold (it was 66-68 degrees at this time), but generally energized and in good spirits. I was just getting on the bike again after i had taken a short break and refueled with more food and drinks when I lost balance and fell. Not in any way a serious fall, but I cut my knee so it started bleeding enough to worry both my wife and myself. It doesn`t take much when you`re on blood thinners and your blood takes three times as long to coagulate as for a normal person. Around ten miles before I came home, I discovered that my bike wouldn`t let me use the lowest two gears without slipping. An adjustment for sure, but one I was not able to do myself. I probably should be able to make an adjustment like this, but not this time. I made it home fine. 80 miles down and it was daylight again. It was time to start riding the 24 miles loop over and over again. I made it once. I desperately needed the two gears I wasn`t able to use and had big difficulties getting up the hill (the one form my old post and earlier in this one) without them. I mad a choice to cut the loop short and thereby avoid the hill. I just had to make a shorter loop more times. It might sound like this would be an easier loop, but since I avoided the uphill, I wouldn`t be able to go downhill either. This meant that for about half of the 200 miles I would not have a single chance to rest while going downhill. I didn`t plan for the long break, but I`m very glad I was smart enough to take it. I honestly think that I would have gotten myself into trouble if I had not done it. 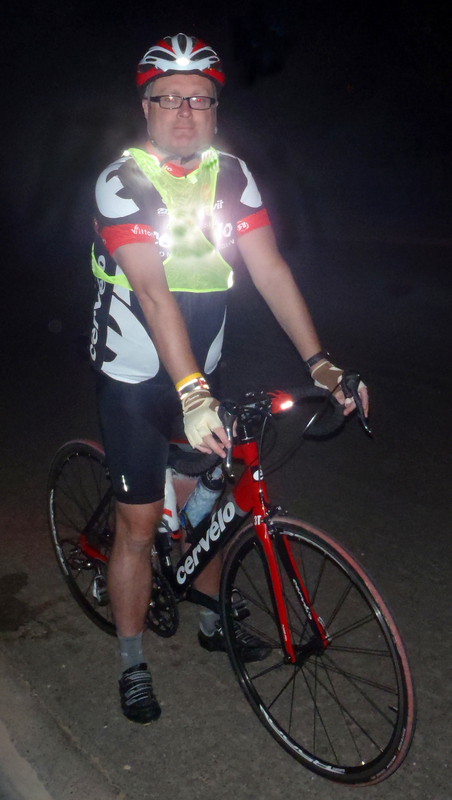 Since I did take the break, I had to ride a few more miles in the dark and those extra miles I had to ride in an area with road work everywhere. It`s annoying in day light, having to steer around rocks, holes in the ground, barriers and what-nots. In the dark, I simply didn`t see all those things, at least not all of them. So, I fell into holes and flew over bumps too many times to count. Those things are NO fun when your crotch feels like it`s been operated on with no anesthetics already. Back and forth on my loop. At the end I realized that despite the fact that I hurt all over and despite the fact that I was very ready to take a nap, I had actually quite a bit of energy left. I sprinted the last few miles and was veeeeery happy when my computer showed 200 miles. I did it! It`s difficult to describe how I felt. 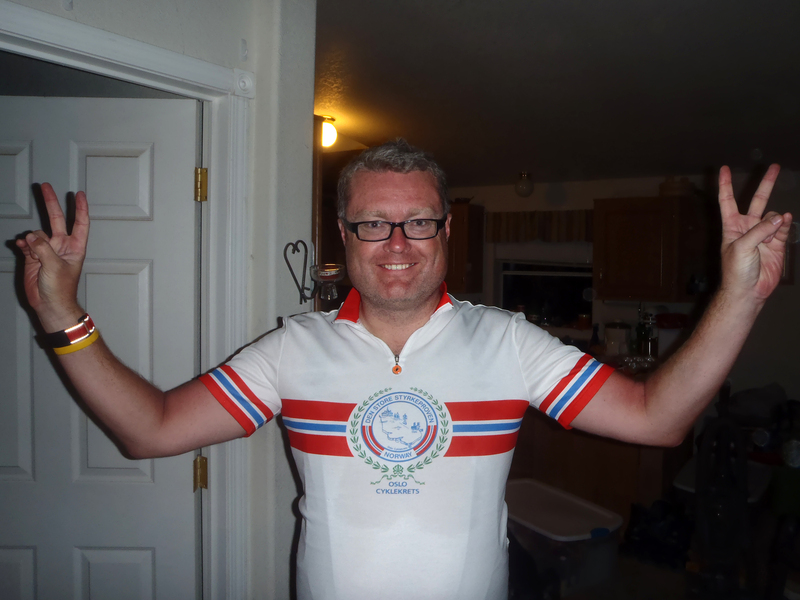 I`m not the only one to have biked 200 miles in a day. It`s not even that long compared to what some people do. For me, the success, if I may call it that, means that I might have had heart surgery, but I`m no heart patient anymore. Does that make sense? Today, I had my one-year check up after surgery with my cardiologist. After EKG, ultrasound and plenty of tests and measurements my doctor told me that my heart, which before my surgery had grown so much that it had moved a little around its own axis, has now moved back in place and has shrunk down to normal size. You have no idea how that makes me feel! Keep your eyes on this blog for things to come. Have I got plans or what!? One year ago today, I was dreading the pain I was about to experience as a result of necessary open heart surgery. I had do to it to improve the quality of my life. In the long run, save my life. Today, I`m celebrating that decision by reliving the dreading and indeed the pain. Funny thing is I`m 100% certain that this time I will be in much more pain than last year! Like last year I`m relatively sure I will make it, but not totally sure. Unlike last year, if I don`t make it I have only my self to blame. Unlike last year I feel good about the way I have treated my body the last 365 days. Thank you to all of you who have supported me. For those of you who know me personally, I`m sure you understand that it will be an emotional weekend for me. It`s good to be alive folks! Time to go to work, take a short nap and then start counting miles. The forecast has changed a little, but not much: night time 67F/19C degrees, day time 102F/39C. Ja. da er dags. Tenk hvor fort ett aar gaar. Takk for det. Naa er det bare noen faa timer til det braker loes. Helsa er som du sier det viktigste. Varmen er egentlig det eneste som gjoer meg litt usikker, Men, som en klok mann sa “Pain is temporary, quitting lasts forever”.